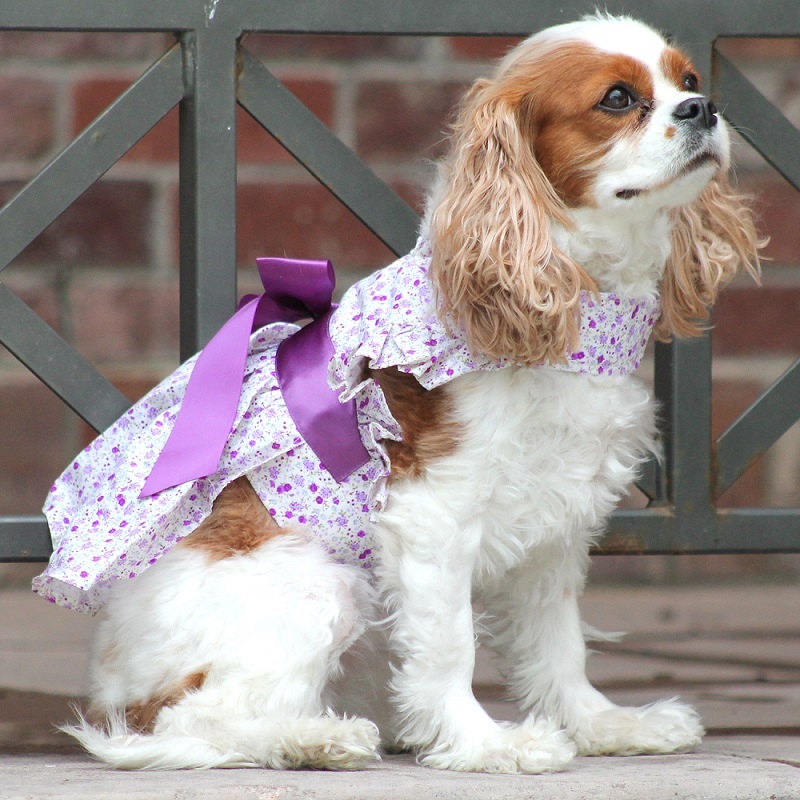 People will draw a crowd to see your adorable pooch in the Wisteria Floral Dog Dress by Doggie Design! 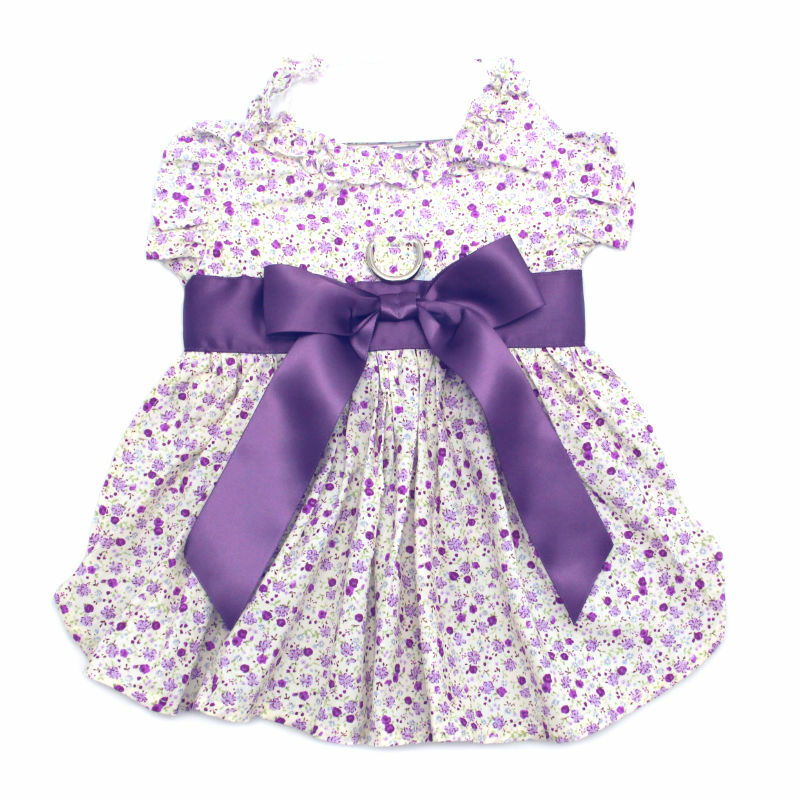 Romance is in the air with this Wisteria Floral Dog Dress by Doggie Design! Features lavender floral pattern with Lavender bow at the waist. Ruffled trim at sleeves and neck. Comes with a re-enforced D-ring for easy leash attachment. Great for parties and pictures.